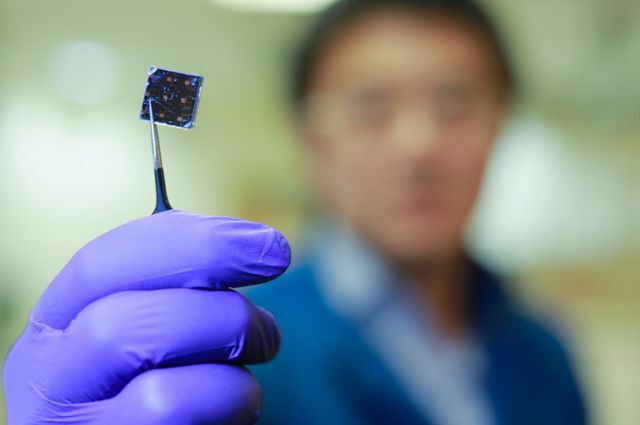 Materials scientists from the UCLA Samueli School of Engineering have developed a powerful thin-film solar cell that generates more energy from sunlight than average solar panels, as a result of its double-layer design, according to UCLA. The device is made of an inexpensive compound of lead and iodine, known as perovskite, that has proven to be very efficient at capturing energy from sunlight. A thin layer of the perovskite is sprayed onto a commercially available solar cell, while the solar cell that forms the bottom layer of the device is made of a compound of copper, indium, gallium and selenide, or CIGS, creating a new cell that successfully converts 22.4 percent of the incoming energy from the sun, versus the previous record of 10.9 percent by a group at IBM’s Thomas J. Watson Research Center in 2015. Researchers have developed a new titanium-based material that is a good candidate for making lead-free, inorganic perovskite solar cells. In a new paper, which appears in the journal Joule, the researchers show that the material is especially good for making tandem solar cells—arrangements in which a perovskite cells are placed on top of silicon or another established material to boost the overall efficiency. Perovskites have emerged as a promising alternative to silicon for making inexpensive and efficient solar cells. But for all their promise, perovskites are not without their downsides. Most contain lead, which is highly toxic, and include organic materials that are not particularly stable when exposed to the environment. “Titanium is an abundant, robust, and biocompatible element that, until now, has been largely overlooked in perovskite research,” says senior author Nitin Padture, professor of engineering and director of the Institute for Molecular and Nanoscale Innovation. A team of researchers from the National Renewable Energy Laboratory, in collaboration with a team from Shanghai Jiao Tong University, has developed a method to improve perovskite solar cells – raising both efficiency and reliability levels while make them easier to produce. Perovskite cells have become one of the more promising technologies in the future of energy. In 2010, the young technology functioned at under 4 percent efficiency. Fast-forward to 2016, and researchers and showing efficiency levels of upwards of 20 percent. However, it’s been difficult to produce these cells and the lack of stability and dependability has become a focal issue. The research involved hybrid halide perovskite solar cells and revealed treating them with a specific solution of methyl ammonium bromide (MABr) would repair defects, improving efficiency. The scientists converted a low-quality perovskite film with pinholes and small grains into a high-quality film without pinholes and with large grains. Doing so boosted the efficiency of the perovskite film in converting sunlight to 19 percent. Is it possible to engineer an all-perovskite solar cell? 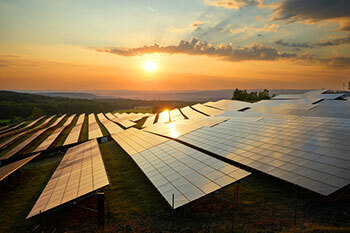 The progress made by emerging photovoltaic technologies in the last year has been outstanding. Important steps towards the realization of silicon-free solid-state solar cells with a real potential for commercialization were taken. In particular, a number of milestones have been achieved in the development of hybrid mesoscopic and thin-film solar cells based on the use of nanocrystals of organometal halide perovskites as the light absorbers. Under this approach, the power conversion efficiency (PCE) has been boosted from values around 6-8% (hold by metal chalcogenide solar cells) to over the 19%. 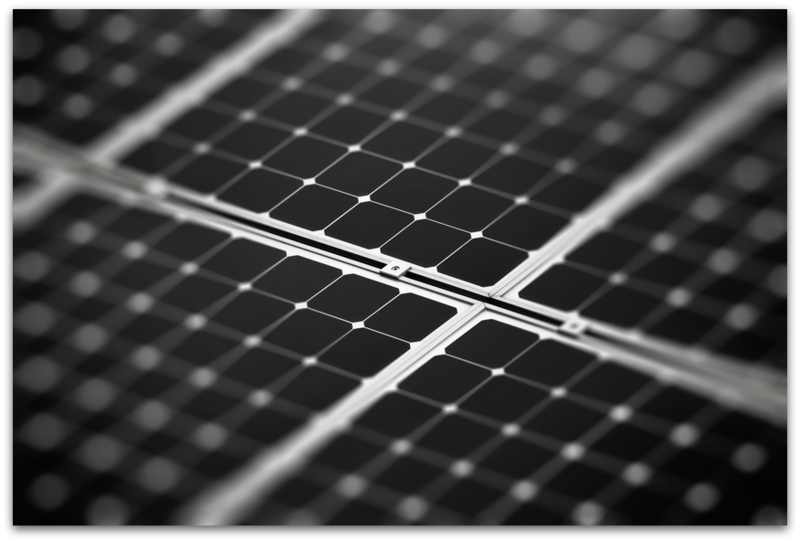 Such a performance is now very close to the 25% of crystalline silicon solar cells, the leading commercial technology. But the most intriguing is that these breakthroughs have been achieved in devices entirely fabricated in the solid state, which, so far, had shown worse energy conversion abilities than their counterparts based on liquid electrolytes like dye-sensitized solar cells. Read the rest. Join the ECS Linkedin group. 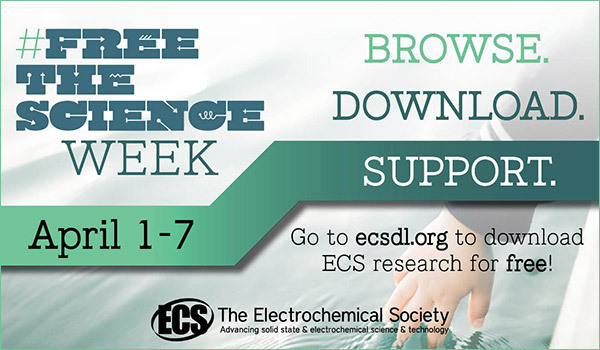 See if ECS has a technical division that focuses on your interests.